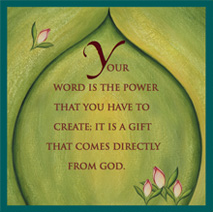 All the magic you possess is based on your word. Depending upon how it is used, the word can set you free, or it can enslave you even more than you know. Question: Does “being impeccable with your word” mean that you always tell the truth, even when it hurts someone’s feelings? How can I be impeccable without damaging my relationships or hurting others? don Miguel: Well, you are also impeccable when you don’t put your nose where nobody wants it. You don’t have the right to try to fix other people’s points of view. You don’t need to be right and make them wrong because of what you believe. They have the right to suffer if that’s what they want to do. Many times, people don’t want you to tell them the truth; they only want you to tell them what they want to hear. You have to be wise enough to understand that when they ask you something, they are expecting a certain answer. You can go along with the game or not; it’s up to you. But you don’t need to create a lot of enemies by telling them what you think is true. That is not what they want to hear. You can avoid the question, or you can tell them that you don’t have any opinion about it. The problem is that they can take your words and change your words, and use them for gossiping. Many people only want your point of view to get evidence of what they believe about themselves or about someone else. They will come to you and ask, “What is your opinion? What do you think about this or that?” and you can give your sincere opinion, but they will change it. And then they will say that you said that about them, and involve you in gossip. Sometimes you give information to your friends because you trust them and believe they are loyal to you. Maybe it’s your best friend, and you gossip about yourself and tell her what you feel about yourself, about other people, making the assumption that she will not share it with anybody. And perhaps this is true, until she is no longer your friend. If something happens and she gets hurt or angry and breaks the friendship with you, a way for her to get even with you is to gossip about all the information you gave her. Something you have to learn about gossiping is that it begins with yourself. Don’t gossip about yourself. Question: When someone is gossiping, what is the most tactful way of stopping the gossip? don Miguel: The best way to stop others from gossiping is by not reacting to their gossip. If you react, you encourage them to gossip even more. If you don’t react, and they see that it’s not affecting you, at a certain point they just let it go. If you don’t accept the poison they send, that poison doesn’t affect you. Question: If I am talking to a friend of mine about another person we both know, does this mean I am gossiping even if I don’t say anything bad about that person? don Miguel: Gossiping can have good intentions, bad intentions, or no intentions at all. But even when the originator of the gossip doesn’t have a bad intention, the receiver of the information can change it into a bad intention. Whoever hears the information digests the information, and then changes it according to his or her perception. That’s why it’s better not to gossip at all. Question: If someone asks me what I think about someone else, and I tell the truth, I feel like I’m gossiping. If I don’t tell the truth, then I’m lying to that person. What should I do? Question: Whenever I think about improving myself, I get confused because then I’m not accepting myself exactly as I am. How can I accept myself exactly as I am and still try to improve myself? don Miguel: You can be aware that you want to improve yourself, but not because you believe you are not good enough. It is possible to improve yourself without rejecting yourself. By having this awareness and not judging yourself, you have already improved. If you accept yourself, you no longer judge yourself or find yourself guilty. If you don’t find yourself guilty, you will not punish yourself, and right away things start changing for the better. Click here for more info on The Four Agreements. Copyright © 2004 by Miguel Angel Ruiz and Janet Mills.